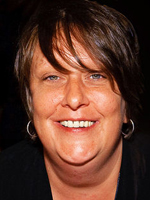 Actress, comedian, playwright and theatre director, Kathy Burke was born in London in June 1964. After graduating from the Anna Scher Theatre, a still thriving community theatre school based in Islington, she rapidly garnered a wide range of credits, ranging from theatre and television to film (where she made her big screen debut, in 1983, in the controversial borstal drama, Scrubbers). 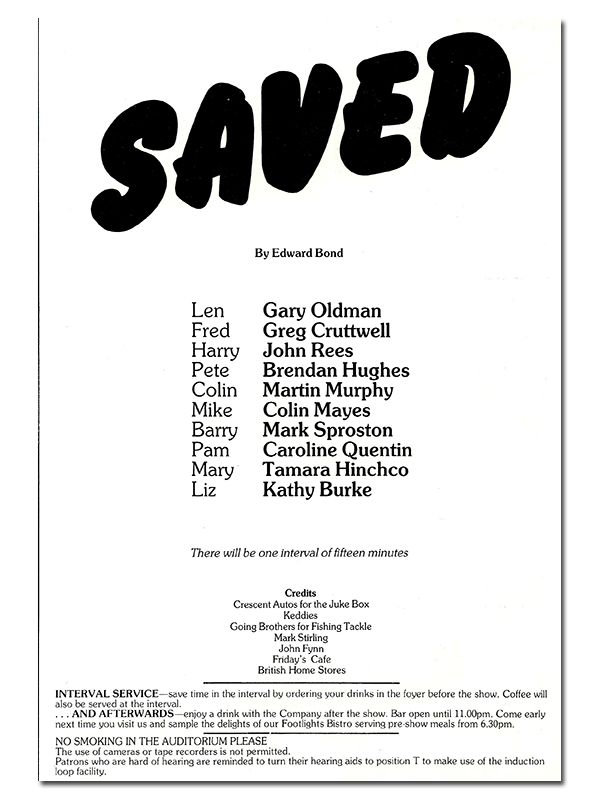 In those early years her theatre performances included Saved, at the Palace theatre in May 1984 – in which she acted alongside other up and coming talents, Gary Oldman and Caroline Quentin. During the 1990s, Kathy became known for her regular TV appearances in the sketch shows French and Saunders, Harry Enfield’s Television Programme and Harry Enfield and Chums, and for her recurring role as Magda in the BBC sitcom Absolutely Fabulous. In films, she won Best Actress at the 1997 Cannes Film Festival for Nil by Mouth, which was directed by Gary Oldman. From 1999 to 2001 she starred as Linda La Hughes in the BBC sitcom Gimme Gimme Gimme, for which she received two of her five BAFTA TV Award nominations. Since 2001, she has concentrated more on her work as a director, although she did appear as Connie Sachs in the 2011 film Tinker Tailor Soldier Spy. This page was added by Ian Grant on 05/11/2014.